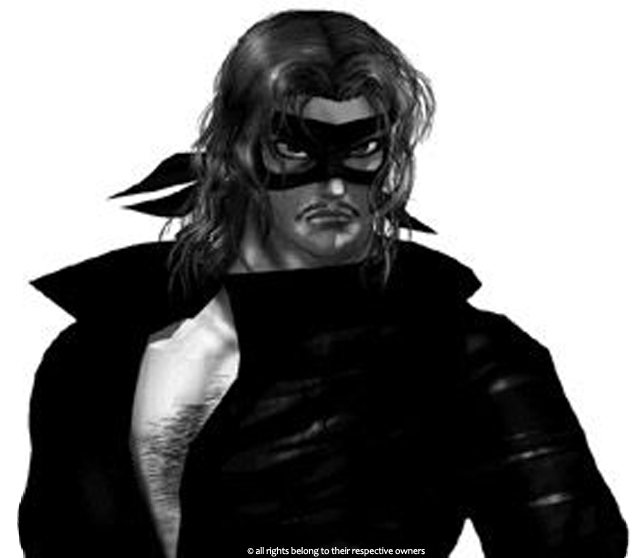 Sporting a Zoro-inspired mask, he appeared in the original Bushido Blade under the alias of "Black Lotus". Black Lotus is a loyal member of Kage who strictly follows the code of Bushido. After slaughtering all the villagers in Kannuki's hometown, Black Lotus begins to question his loyalty to Hanzaki and seeks answers. 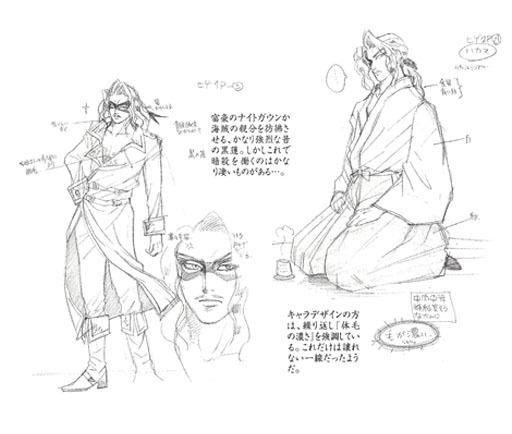 In Bushido Blade 2, he acquired a mysterious new persona, taking the new alias of "Highwayman". 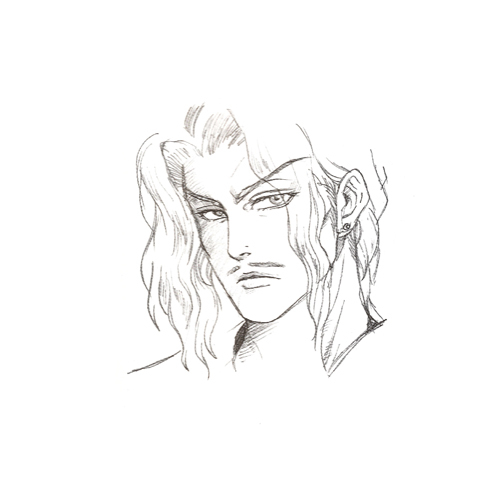 His strongest weapon is the Rapier and he is also a member of the Shainto. 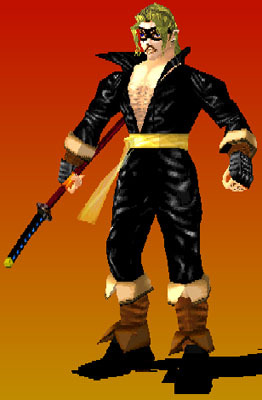 Black Lotus was a slightly odd, yet somehow interesting design in the first Bushido Blade. 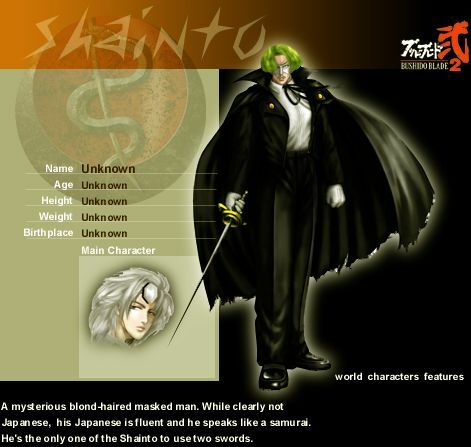 I found it pretty cool that they gave him an alternate persona in the sequel... yeah, he's pretty much the Zoro of Bushido Blade 2. 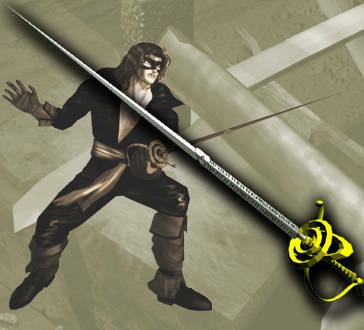 It even made sense, since Black Lotus was skilled with a rapier in the first game. Hey... for back then, that was some pretty solid character development! 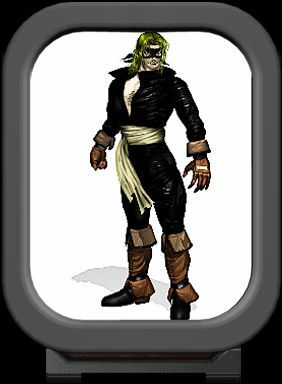 If my memory serves correct, I believe "Highwayman" was one of the final characters to unlock in BB2... giving him some extra cool points, of course. Damn, I just remembered how fun it was unlocking characters in that game! Good times.